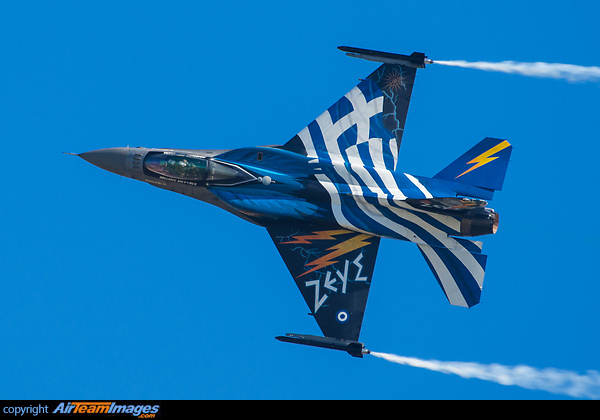 The F-16 Fighting Falcon is a compact, multi-role supersonic fighter aircraft. It is highly maneuverable and has proven itself in air-to-air combat and air-to-surface attack. Serving with the USAF but also in the air forces of 25 nations. F-16C first flew in 1984 and have substantial improvement in cockpit avionics and the Pratt & Whitney F100-PW-200 engine the carriage of the AGM-45 Shrike, AGM-88 HARM, and AIM-120 missiles. 1 x General Electric F110 (27000 - 32000 lbf) or Pratt & Whitney F100 (17900 - 29100 lbf) turbofan engine.